A breath of new thought in old spaces combining the best of old and new to celebrate a glorious life. We had to say farewell to Dr Hans Fransen on Friday morning at his celebration of life ceremony held in Pinelands. Hans, with his two PhD’s was a meticulous researcher and an authority on art history and architecture. His internationally renowned work earned him a knighthood from the Netherlands. I was fortunate to have worked with Hans on several occasions over the past 30 years. First, as the organiser of talks and outings for the Vernacular Architecture Society of South Africa and later as chairman of the Society. Hans was an inspiration. He was always keen to give a talk to the Society. Sometimes, the briefing for the talk and the final talk as presented would differ, because Hans always had new perspectives on vernacular architecture which he would be keen to share, and we, equally keen to hear. Something I will always remember of Hans, was his willingness to share his knowledge. His impressive legacy of publications on vernacular architecture bears testimony to his generosity of knowledge sharing. I remember meeting Hans outside my cottage in Woodstock where he was cycling through the suburb. 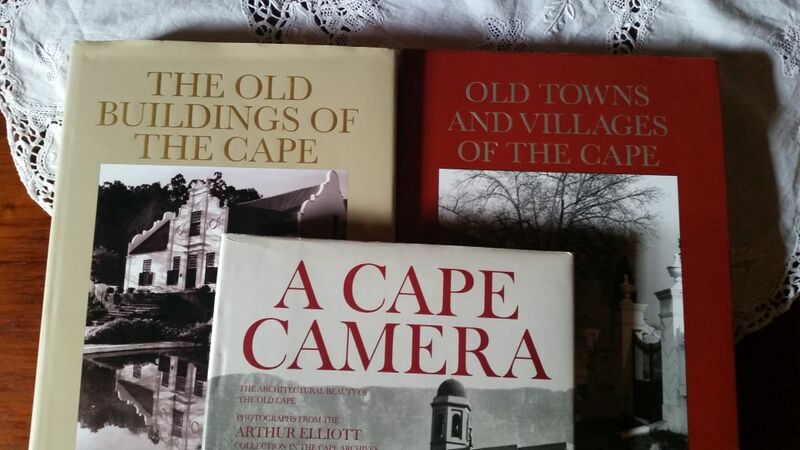 He was recording buildings for his book, “A Guide to Old Buildings of the Cape”, which was a total revision of his earlier work, “The Old Buildings of the Cape”. The updated work was published by Jonathan Ball in 2004. He was recording the terrace in which we live, to be included in the publication. Seeing Hans cycling through the city was a familiar sight. When encountered, he could still find time for a friendly chat. There are few words to describe the significance of his published works on the cultural and built heritage of South Africa. 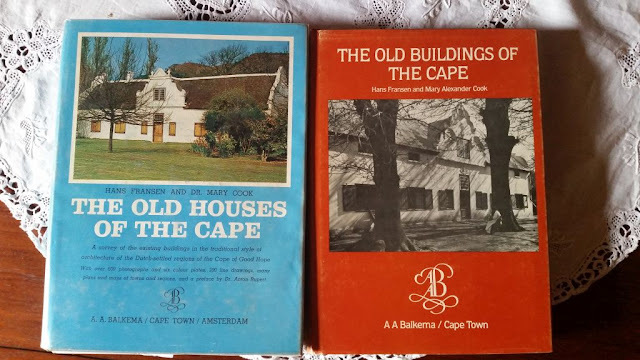 We refer to the book “The Old Houses of the Cape”, co-authored with Dr Mary Cook and published by Balkema in 1965, as the bible of Cape vernacular architectural inventory in South Africa. This book was my constant guide when planning outings for the Vernacular Architecture Society of South Africa. I have a well-worn traveling copy that was always in the bakkie when we used to go on road-trips exploring the Western Cape platteland and discovering old buildings. 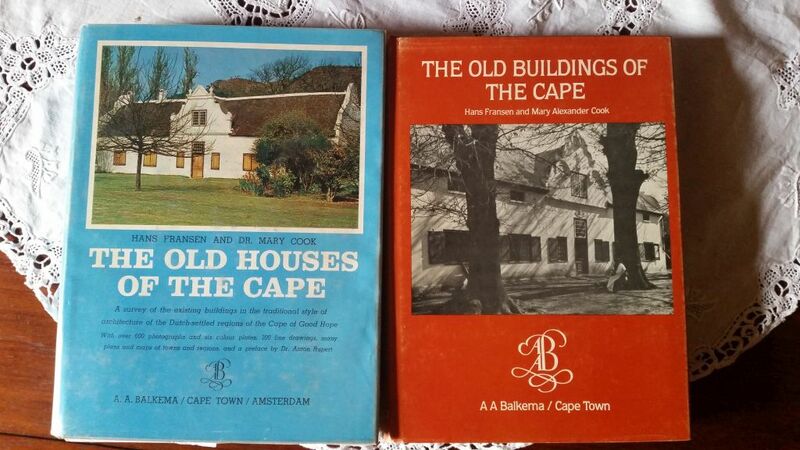 “The Old Houses of the Cape” was our guide to the architecture of that landscape. Another travelling companion, was a publication of the well-known raconteur and journalist, Lawrence Green. 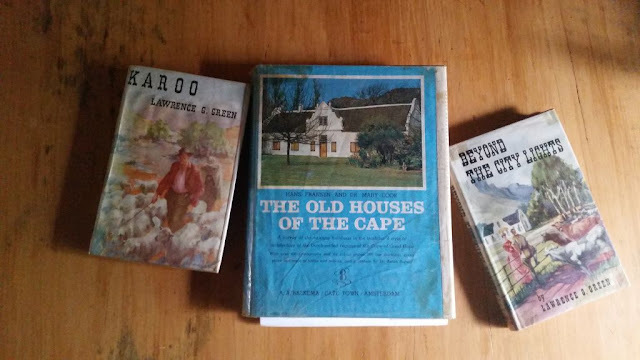 Lawrence Green, though a generation earlier than Hans, also had a passion for the history of the Cape, but his light-hearted approach, was to research or investigate ‘the stories’ of the old Cape. His particular interest was in the people. These are the people who gave life to the vernacular buildings of our interest, when some were still relatively new. One of Lawrence Green’s books would be the companion book through which we would discover some journalistic social history of the landscape. I feel that the social and architectural history of a landscape are integral to each other. To more accurately understand the buildings one needs to understand the people who built and lived in them. Lawrence Green captured so many facets of South African life in his books. Books like “Karoo” (1955), and “Beyond the City Lights” (1957), and others published by Howard Timmins, simply coloured the history of the landscapes we explored. To illustrate the point, I use the town of Robertson. 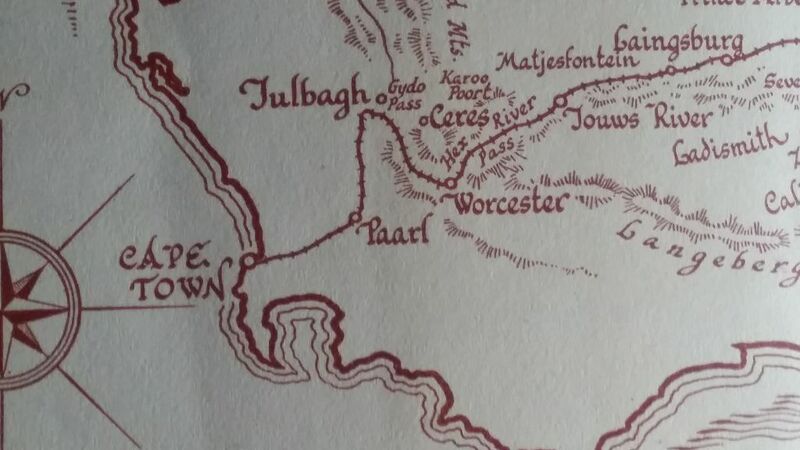 In the “The Old Houses of the Cape” by Hans Fransen and Dr Mary Cook, with its many illustrations and maps, the information of the town will be recorded as follows on page 209. “Robertson was founded in 1853, although the farm ‘Het Rode Zand aan de Hoopsrivier’ was bought as a site from J. (Hans) van Zyl the year before. It was called after Dr. William Robertson, at that time predikant of Swellendam, who till that time had visited the place every three months. This is another example of a dorp that owes its beginning not to the need of local government, but to the need of a church – the cornerstone of which was laid in 1853. This information with the beautiful maps drawn by Hans, would give us, on a reconnaissance excursion, a clear idea of what we will find in the town when looking at the architecture. On our way to a town I would read from Lawrence Green while Keith was driving. The stories gave the town a life and context to the buildings. In “Beyond the City Lights”, Lawrence Green (1957), Robertson is introduced as follows on pages 221 to 223. “Robertson came into being two or three years after Montagu, but in the conventional manner. The church bought Mr. Hans van Zyl’s farm, which bore the impressive name of “Het Roode Zand aan de Hoops Rivier in het Land van Waaferen”. That was much too long, so they called the new village Robertson after Dr. William Robertson, minister of the Dutch Reformed Church at Swellendam. Swellendam farmers were already grazing their cattle in the area, just as they did at Montagu. When it was discovered that the soil was suitable for vines, the village was born. The farm “Het Roode Zand” cost £4200, and the auctioneer who sold the plots was the redoubtable Mr. Joseph Barry of Swellendam. He and his nephews owned ships, shops and farms; especially shops. At one time he issued his own paper money. “As jy lekker wil lewe, koop by Barry and Newe,” was the slogan of a century ago, as good as many a modern effort. Barry followed the church into every new village and opened the first shop. He was the business pioneer of Robertson, and his descendants are still there four generations later. Robertson soon became a wagon-building village. It was Fouché and his daughter (an unusual combination in this trade) who made President Kruger’s coach, now in the Pretoria museum. During the boom years it was said that half the village was making wagons while the other half was away on togry, selling the wagons in the republics. Sometimes a cavalcade of twenty wagons would leave Robertson and travel in company. These wagons would be loaded with wine and brandy, almonds and raisins, vinegar, moskonfyt and dried fruit. Clever carpenters in the village, Preiss and Koos van Zyl and others, also made stinkwood furniture of the sort that collectors are glad to find nowadays. They believed in bilingualism at Robertson as far back as 1854. The children were attending a school at which Nederlands was the only medium, and naturally they spoke Afrikaans at home. So the parents wrote to Glasgow for a teacher, and the appeal was answered by Alexander Clarke. His salary was seventy pounds a year. This strict but popular man learnt Dutch quickly, used his cane freely and gained a great reputation as a teacher. He had been in the village for two years when he swallowed his dental plate at a meal. Heroic methods were used in the effort to recover it. They tried to hook it out with wire, and when that failed they pushed it father down his throat with his own cane. 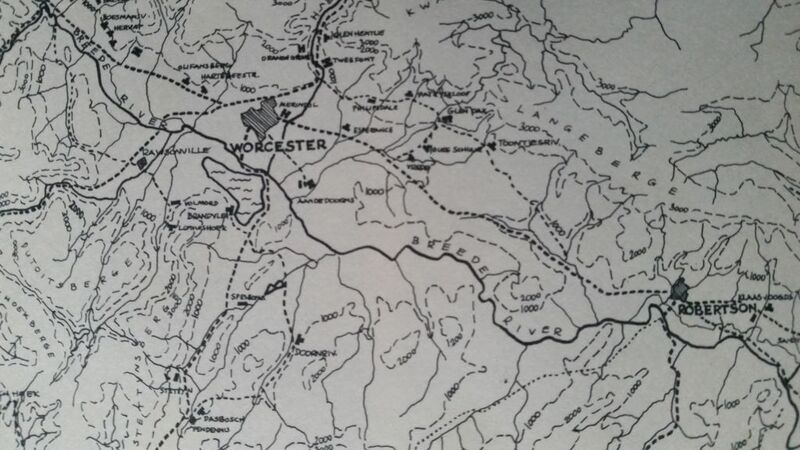 Meanwhile a volunteer had galloped to Worcester for the doctor. When the doctor arrived fifteen hours later Clarke was dead. This new village without a doctor lived in great fear of measles. When outbreaks were reported in other villages, Robertson posted sentries to keep strangers out. One week-end in September 1860, however, a girl named Sophie Erasmus came in from one of the farms in the district with her father to attend church. She was not feeling well, but she was in love. Her young man took her to church next day, and before her illness had been diagnosed, Sophie had infected about seventy people with measles. It was the custom in those days to treat measles with a revolting concoction which included kraalmis. The local midwife was a great believer in this appalling drink of farmyard manure. She mixed it carefully herself and went from house to house administering the potion of death. For this so-called cure for measles contained of germs of typhoid fever. In this first typhoid epidemic, one hundred white people were affected and sixty died. The very last victim was the minister, the Rev. C. H. de Smidt, who had weakened his resistance by working himself almost to death attending the others. Among coloured people the death rate was frightening. I wonder if Hans and Lawrence ever crossed paths. I will never know. But here were two men recording different histories of the same places and in that giving a more complete picture of the cultural landscape. I never met Lawrence Green, the journalist, but I am glad I was fortunate to have met Dr Hans Fransen. A generous man in knowledge and spirit. One seldom realises the contribution a person makes to one’s life until you reflect upon it when that person is no longer there. I am sorry that Dr Hans Fransen never visited Towerwater to see how his work inspired us to rescue and restore the property, but at least his written legacy graces the bookshelves of our library. With his books as informative travel companions we will remember him as we explore the countryside looking at Cape vernacular architecture. Something I think he would have liked. What a wonderful tribute to your friend and also to Lawrence Greene whose books I have been collecting through the years. I actually lived in the latter's house "The Spinney" in Durbanville in the sixties!! Thank you for a very interesting narrative. Thank you Ann, that is very interesting. A great tribute to a great man! I am also a great admirer of Lawrence Green's stories. You are so correct that the two together give one a comprehensive insight into what makes this place so uniquely captivating. Struggling to comment? Please let me know at thys.hattingh@gmail.com. © 2019 Thys Hattingh All Rights Reserved. Travel theme. Powered by Blogger.